It’s an absolute masterpiece of software. Very regularly updated, impeccable customer support, gannt charts, infinite subtasks, rich text editor for tasks, revision history for files, just… man. So many things. Great mobile app… EVERY view available: gannt, list, kanban, table, workload/burndown/ analytics, etc etc. switch between em.. Tasks can exist in multiple locations for genius organizing, time logs with comments… never ending features. 99% rock solid. Can’t make workspaces publicly viewable (you can export an interactive snapshot of your timeline though). Expensive if you want all the features. Hard to get even a small non profit discount. I’ve given a lot detail already in my review. I use it for our tech startup social enterprise. It’s an absolute masterpiece of software. Very regularly updated, impeccable customer support, gannt charts, infinite subtasks, rich text editor for tasks, revision history for files, just… man. So many things. Great mobile app… EVERY view available: gannt, list, kanban, table, workload/burndown/ analytics, etc etc. switch between em.. Tasks can exist in multiple locations for genius organizing, time logs with comments… never ending features. 99% rock solid. Can’t make workspaces publicly viewable (you can export an interactive snapshot of your timeline though). Expensive if you want all the features. Hard to get even a small non profit discount. I’ve given a lot detail already in my review. I use it for our tech startup social enterprise. I’m the export manager of a brewery located in a different city than my hometown. The production team set each fermenter tank of a new beer as a new project, we can discuss the beer profile in the specific chat for each project and do whatever action a project management app offer. But the absolute best thing are the different options Wrike offers you to see all projects together: list, icons, timeline etc. You can also filter however you want, ser up directly notifications in your email etc. It’s also very easy to set up a new project and change it later if you have to. Honestly there’s nothing that I consider relevant but to say something maybe they could offer even more grafic options of showing your projects. I’m the export manager of a brewery located in a different city than my hometown. The production team set each fermenter tank of a new beer as a new project, we can discuss the beer profile in the specific chat for each project and do whatever action a project management app offer. But the absolute best thing are the different options Wrike offers you to see all projects together: list, icons, timeline etc. You can also filter however you want, ser up directly notifications in your email etc. It’s also very easy to set up a new project and change it later if you have to. Honestly there’s nothing that I consider relevant but to say something maybe they could offer even more grafic options of showing your projects. The ease of creating and assigning tasks, as well as assigning them to a specific client. I like the possibility of adding comments to a task. It’s also easy to manage the status change of a specific task. The most useful functionality is the ability to view the tasks in different formats as table, kanban, timeline, etc. Really great tool to get things done :) Sometimes is a little confusing the way the tasks are organized. The first time I work with Wrike it takes me some time to fully understand the organization of ‘My Work’, completed task, pending task and tasks assigned by me to others in the team. Not only this software had help the organization to organize and assign tasks, it had helped us to get things done faster. 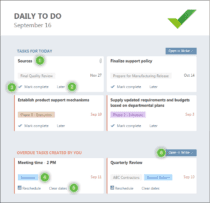 With Wrike, we can track and manage the projects in a more efficient way. Sometimes is a little confusing the way the tasks are organized. The first time I work with Wrike it takes me some time to fully understand the organization of ‘My Work’, completed task, pending task and tasks assigned by me to others in the team. Not only this software had help the organization to organize and assign tasks, it had helped us to get things done faster. 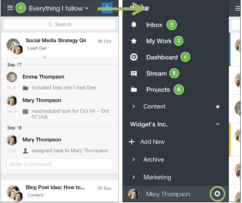 With Wrike, we can track and manage the projects in a more efficient way. I like the ease, the various custom options as well as the reporting features. It is very easy to train new associates with all of the videos and collateral provided from support. I wish there were more automation tools for assigning and completing tasks. The calendar view is just terrible. The timeline view is confusing and will not perform how we need it it. Customer service sends me to twitter for updates. I don’t like that either. By having accountability and a clear cut understanding of who is responsible for tasks, we benefit from Wrike. I like the ease, the various custom options as well as the reporting features. It is very easy to train new associates with all of the videos and collateral provided from support. I wish there were more automation tools for assigning and completing tasks. The calendar view is just terrible. The timeline view is confusing and will not perform how we need it it. Customer service sends me to twitter for updates. I don’t like that either. By having accountability and a clear cut understanding of who is responsible for tasks, we benefit from Wrike. Wrike has a very user-friendly interface, intuitive shortcuts, responsive forums and help request functions, so the answer is never far away if you get stuck. Planning tasks for the day, week, and fortnight is simple, as is managing overdue tasks and keeping an eye on critical dependencies. Functionality is extremely limited on IE, so some team members get confused between multiple browsers when they’re working. Functionality is also limited depending on the license bracket you’re in, so what you see happening in the pilot won’t necessarily happen if you start out on a smaller-scale once you purchase. This software is becoming core to the central administration of projects across three teams in the service. I would not be able to manage the staff and workload here without it – delegation has become much simpler! Wrike has a very user-friendly interface, intuitive shortcuts, responsive forums and help request functions, so the answer is never far away if you get stuck. Planning tasks for the day, week, and fortnight is simple, as is managing overdue tasks and keeping an eye on critical dependencies. Functionality is extremely limited on IE, so some team members get confused between multiple browsers when they’re working. Functionality is also limited depending on the license bracket you’re in, so what you see happening in the pilot won’t necessarily happen if you start out on a smaller-scale once you purchase. This software is becoming core to the central administration of projects across three teams in the service. I would not be able to manage the staff and workload here without it – delegation has become much simpler! 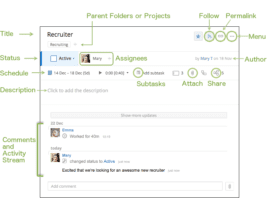 Wrike is a Cloud-based collaboration and project management solution. Wrike was founded in 2006 and is headquartered in San Jose, California. Over the past 12 years, Wrike has grown to a company with over 500 employees and over 1 million users around the world. Wrike mainly targets large corporations and its customers include Airbnb and Verizon. Wrike was recently named Commercial Innovator of the Year at Microsoft’s 2018 Windows Developer Awards for its desktop application, Wrike for Windows. Wrike is praised by users for its intuitive design and a robust reporting and importing feature which allows for reports from Wrike to be imported into outside spreadsheets or PDFs. 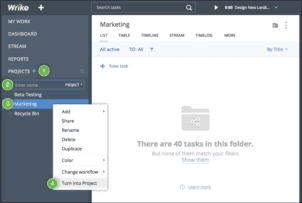 Although Wrike carries a heftier price tag than some other work management platforms, there is a free version which can handle basic task management and does include the popular drag and drop board view. What Do You Think of Wrike?